View cart “Piano Salon – Premium” has been added to your cart. The Basic Piano Salon is a unique intimate gathering for yourself and up to 7 additional guests at my home studio. 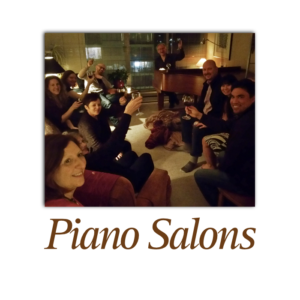 About the Basic Piano Salon. Finally, they can purchase a recording of the evening’s music if desired. Check out the Premium version of the salon.